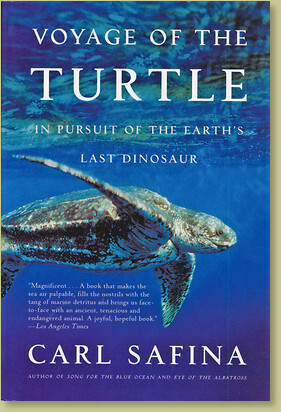 As Carl Safina's compelling natural history adventure makes clear, the fate of the Leatherback Turtle is in our hands. The only surviving species of its genus, family, and suborder, the Leatherback Turtle is an evolutionary marvel; a "reptile" that behaves like a warm blooded dinosaur. An ocean animal able to withstand colder water than most fishes and dive deeper than any whale. Accompany award winning natural history expert Safina and his colleagues as they track Leatherbacks across the world's oceans and onto remote beaches of every continent.